Release Train 9/12/18 | CommentSold Help Center! We announced last week that we are focusing on quality releases with less bugs so you all can have new features and fixes without new issues appearing. You'll be happy to hear that we were able to do that AND cook up some hot new features! Most importantly we have fixed a few bugs that you've mentioned a lot lately!!! We introduced a feature that allows you to block customers from your shops a few weeks ago. We're now giving you access to more data to help determine who is holding up your inventory. You can find this data in the Customer Details page. We now send your customer's full address instead of just the zip code to TaxJar for order calculation. This will enable TaxJar to calculate very precise sales tax estimations. Your customers are now required to have a valid address and name before placing an order. 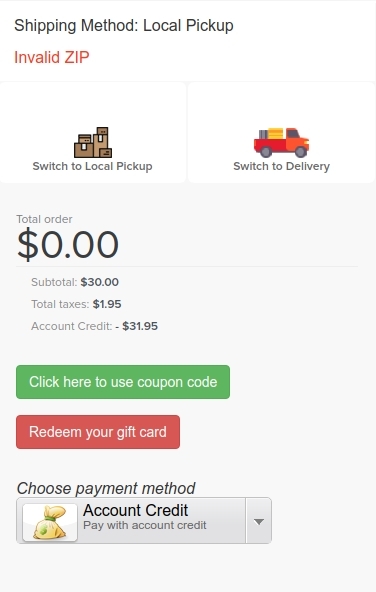 This change is enabled for both shipping and local pickup to ensure TaxJar calculations are correct. This will make sure every customer has a valid address on file. You may be familiar with how much effort the developers put into making your life easier but did you know we have a Whole Team working on content to sharpen your CommentSold skills? They break down the techniques our largest boutiques have used to grow exponentially and make them easy for everyone to understand!! Click the button below to check it out. You might find something you never knew about! Thanks for continuing to give your awesome feedback and helping us make this platform incredible! We want to make the many hours you spend using CommentSold each day nearly effortless! You guys are constantly impressing our whole team and pushing the boundaries of what's possible, keep it up!